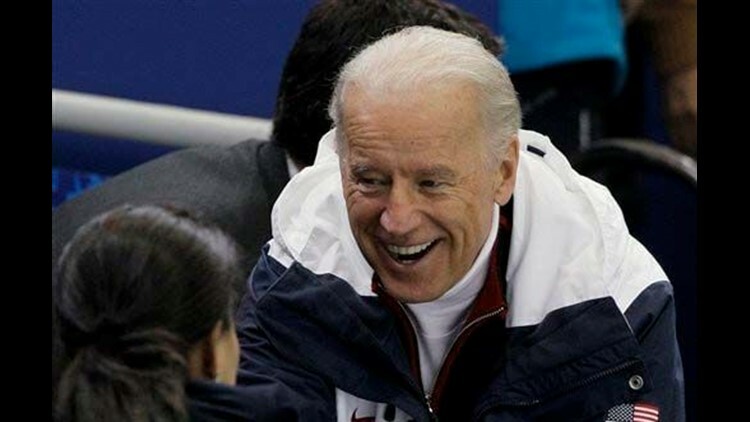 VANCOUVER, British Columbia (AP) - A man with false accreditation was able to get within several yards of U.S. Vice President Joe Biden before being arrested at the Olympics' opening ceremony, police said Wednesday. Cpl. Joe Taplin, a Royal Canadian Mounted Police officer serving with the Olympics security task force, said the man was stopped when he got about 12 rows from where Biden was sitting in a specially protected VIP section in BC Place Stadium. The unarmed man was escorted into a hallway, tried to flee, and then was apprehended again, said Taplin, who added Biden was not in danger at any time. The man, whose name has not been released, was turned over the Vancouver Police Department. "They are not recommending charges at this time but believe mental health issues were a contributing factor," Taplin said. An investigation was under way to determine how the man got inside. The news first was reported by CTV. Taplin said U.S. Secret Service agents with Biden were alerted about the incident and were satisfied with how it was handled. "We believe it was an isolated incident committed by an individual who had no malicious intent," Taplin said. "We believe he was possibly going to say hi or talk the vice president." CTV, the TV network broadcasting the games in Canada, reported the entry pass used by the man appeared to have been printed off the Internet and then laminated. Adam Gray, vice president of security integration for the Vancouver Organizing Committee, said the man's fake credential was not how he entered the building. "In the interests of ensuring the integrity of the venue security, understandably we cannot provide specific details on how he entered," Gray said in a statement. "However we can confirm that we've made changes in collaboration with VISU (the security task force) to make sure this doesn't happen again." "We're confident," Gray said, "that the venue security system ensures a safe and secure environment for all." At BC Place and other Olympic venues, those entering must first pass through checkpoints where tickets and credentials are examined, then go through airport-style security screening procedures.